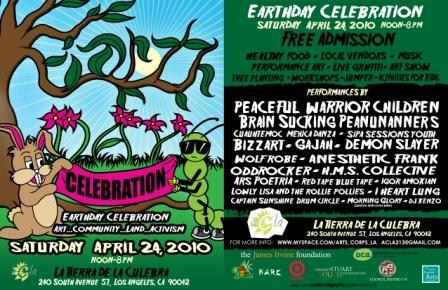 Earth Day at Tierra de la Culebra | YORK BLVD. Join your neighbors next Saturday for food, art, music, and dance at Highland Park’s favorite artist colony, Tierra de la Culebra. One late addition to the lineup after the flyer went to press is the brass-heavy noise gypsy band/art performance Killsonic. If my description is as confusing to you as it is to me, better read this article and check out the video below. See you there!